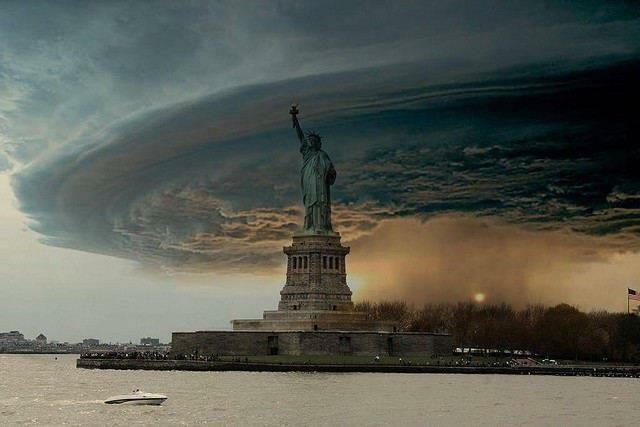 With Hurricane problem, oil reach new low of $84.66?! You may be surprised why with the hurricane problem in US today and with the supposedly winter season demand, oil prices still drop to its low these few months. Doesn't seem logical, right?? If you have been following our blog, this may not be surprising. In fact we have been asking all to short oil and energy stocks since september. You would have made great money on our call. 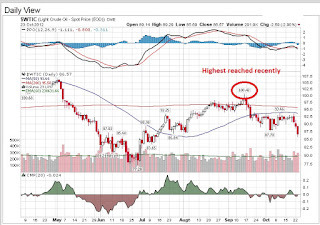 The main reason of this decline is that 97% of Energy stocks has reached our bullish status. History for these past 5 years have shown that this is the highest figure recorded, which means it has reached its peak! 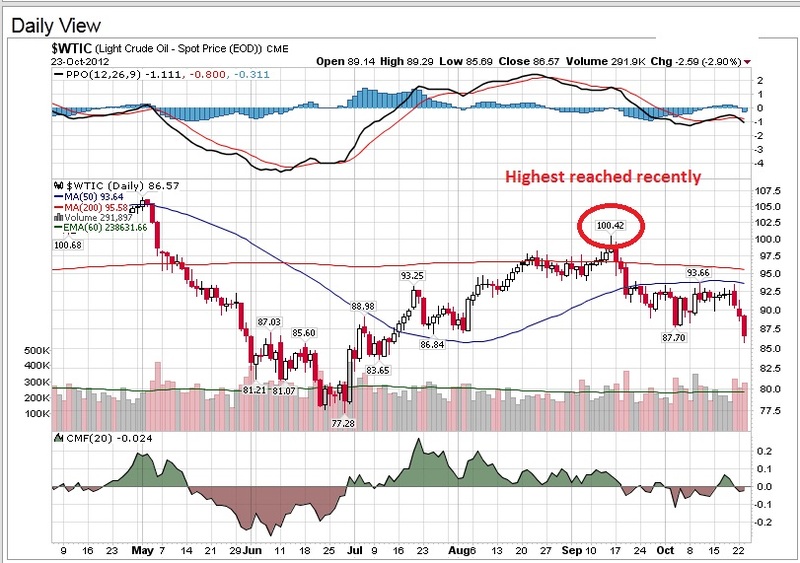 This drop is not because of demand and supply of crude oil. None of it, it is purely because of energy sector peaking! We think that there is a good possibility of oil dropping to $80 in the mid term. Especially when energy stocks has turned bearish now in our market sentiment indicator. Going long now for the mid term would be suicidal. Today Singapore Index STI dropped by 28 points. I would say that STI has been pretty resilient to US market drop until today. With the uncertainty of US market recently due to earnings, technological and energy sector weakness, I would suggest to avoid Singapore market temporarily. Wait till we see some confidence in the US market. 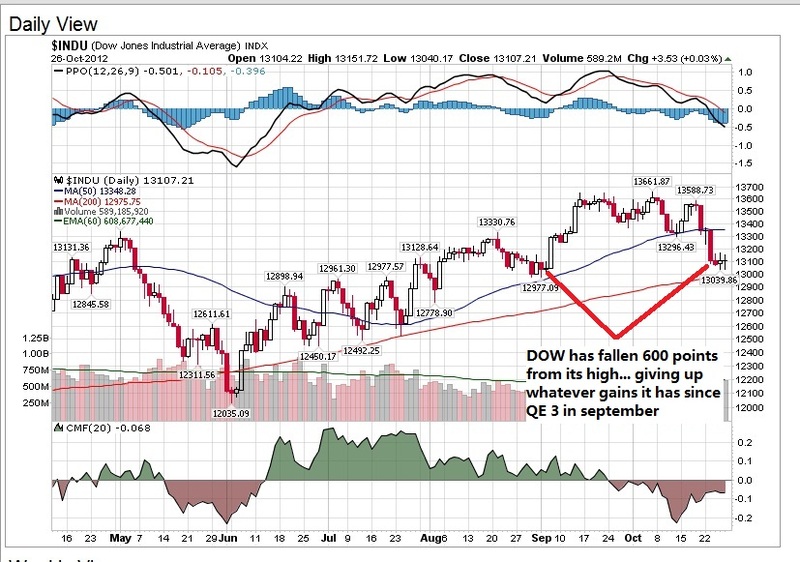 A good indication would be triple days gain for the DOW, or 2 days where the index close at a high (hopefully one of the days with a triple digit gain). 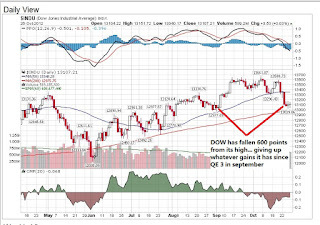 Attached is a chart of the DOW recent weakness. In fact Dow has already given up all its gain since the QE3 announcement in september, fallen by 600 points from its highest of 13661. Looking forward, this is a jam packed week. The major report will come this friday with the unemployment rate and non farm payroll. I would probably lean towards a better than expectations report from the non farm payroll this time. In the previous report, it is on par with analyst's expectations. Probably with the holiday season, there may be more jobs created this month, which is often the case for november. Let us wait for friday numbers. 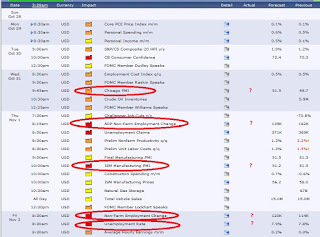 We have a host of economical reports that will reflect the status of the US economical health starting from Wednesday. Below is the list of reports coming up. Friday is the biggest of them all! The NON-Farm Payroll! Will Facebook be this quarter Cinderella turnaround story? 3 days ago, I did mention about this company issuing its earnings. Last night Facebook finally find the right sized shoe, and today this stock gaps up 20% with a $4 jump up. No doubt Wallstreet loves this fairy tale story, finally. Since the IPO, this stock has tumbled strongly, down by more than half of the opening price. Does this stock have the chance to live in the fairy tale palace this quarter? I would say probability is high, given the upgrade in the stock by Citigroup and Bank of America today. There may be more analysts that start to project a better future on Facebook earnings, which will be the main driver of the stock price. Sometimes analysts' upgrades are contagious. The bullishness might start to catch on given this good quarter and relatively cheap price since IPO. 1) Ezion - Targeted price 1.47-1.50. An upside target of 7 cts from now. Not much. When it reach into 1.47 territory, would take a look to see if professional money is leaving the stock. 2) Ausgroup - Targeted price of 0.58, the peak reached last time. Have to see if it can break thru then. 3) First Resources - Targeted price of 2.17 - 2.20. An upside target of 17 cts more. 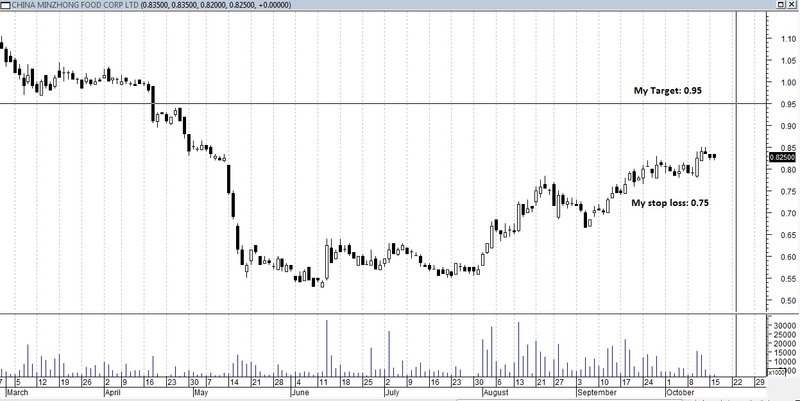 4) Yoma - Targeted price of 0.67-0.70. An upside target of 10 cents from now. 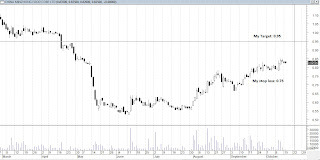 5) China Minzhong - Targeted price of 0.95. An upside target of 10 cents from now. We solely based our analysis on Technical Analysis. Please note of any earnings announcemnt coming up for any stocks here. Earnings announcement is something that I always avoid in short term or mid term trading as your stock may gap down upon the poor results. Please check with your brokers when the dates are. Do your own homework too and exercise your stop loss! 1) Ezra - this stock seems to be on accumulation mode, taking a rest after hitting the target 1.25, I would say this stock probably wont move down below 1.2, might at least run towards 1.30, looks good now judging from our Singapore ART system. 2) PEC - this stock does seems weak now, I would probably would not touch this stock as I could not know if professional money is still inside the stock. In a range between 70cts and 75cts now. I would not touch this stock unless it breaks out of 75cts with high vol. 3) Ezion - Like Ezra, I think this stock is in accumulation mode by the professionals. But I need 2 more days to determine for sure. Judging by the performance of this stock these few days, I did not see any danger of professionals dumping the stock, which I suggest continue to hold. Unless market not good, this stock should continue its flight. 4) Ausgroup - Before its run from 40 cts to 58 cents today, I told my students to accumulate the stock. Indeed it has run. Today, it seems to have finished its flight. DO not touch this stock NOW! Seems dead to me for now..
5) China Minzhong - A company that seems to take a good rest after hitting 80 cts, which I know is a resistance and Law of Gravity of Price. I have said that this is a mid term play (2-3 months) and I do not think the flight has ended. Might be ready for a 80cts break. (Went from 2.05 to 2.03. Bingo! it even went to lowest price of 1.90 after a day I published the article. 7) Hi-P - It follows exactly to what Law of Gravity to price formula. Normal that this stock needs to rest at $1.1 after breaking $1. If this stock is to continue its upward movement, it needs to go higher than its 1.02 price now. I would take a better look at this stock only at 1.07. Keep in watchlist now. 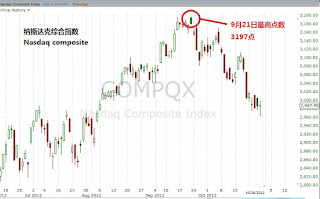 8) Yoma - The Doji today it has today does seem bad. Better to take profits first. Could still not conclude that today doji is a small pause or whether professional $ has run. IBM earnings disappoints today, pushing the DOW into negative territory. I heard from CNBC that if not for IBM, DOW probably would be up by 60 points. Well, it meant that market generally is good as the drop is mainly caused by IBM. This is one stock that has run up a bit, $30 this quarter. Expectations is probably raised a bit high. This gives me a glimpse of what might happen on Thursday with Google. Will there be similar expectations on this big tech giant too? 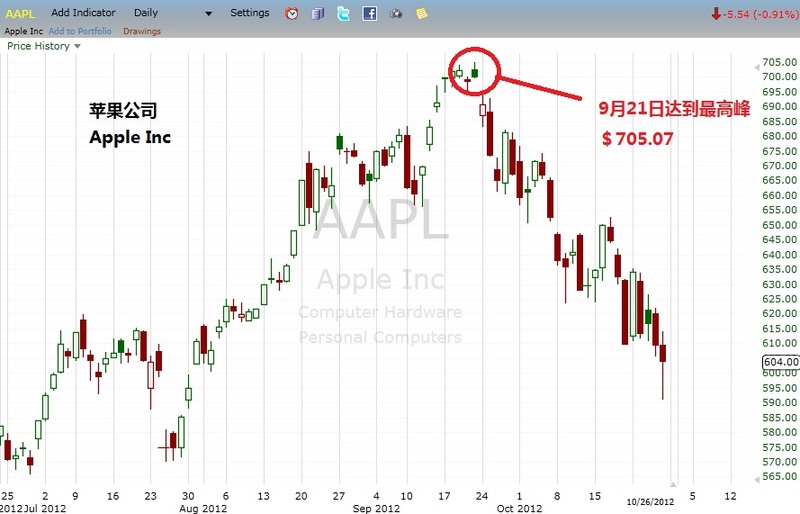 If u have tech stock at hand, and u r a short term player, maybe the wise thing to do is to sell first. 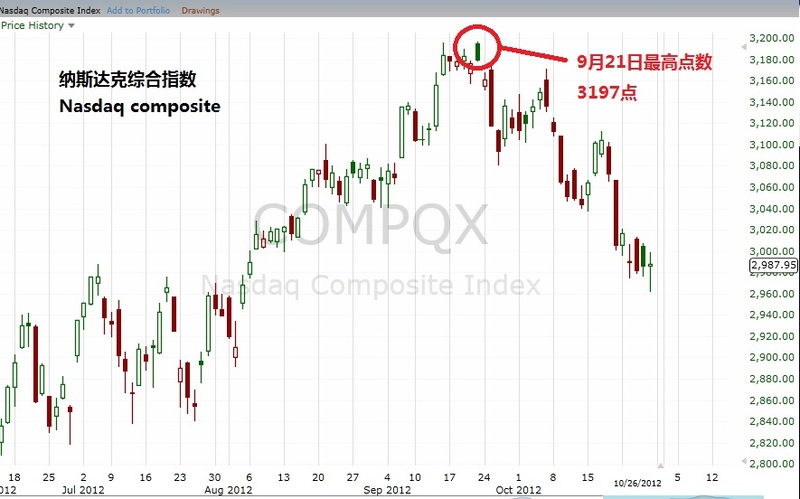 Btw, coming back to the market, the market seems more confident now. However today STI seems to be weak still. I continue to believe that if you are a mid term player, try to spot any stocks and accumulate your position. This quarter, we will still hit a new high. 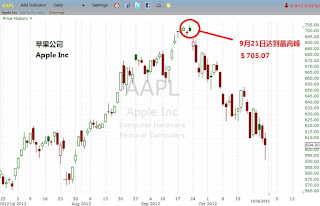 Intraday Trading on US stock APPLE - US$2075 profit in 47 minutes! This is what you can make in less than 30 minutes of trading from the US market. Trading is a journey and with a STRICT money management practice, you can make $ consistently! Today Apple has some good news coming bcos of its new product release of its ipad mini 23 October. This is new product launch play! However bear in mind that this is not a big product like iphone or ipad. Hence I only play intraday. As this stock has been weak these few days, I do not want to hold position today. Btw, if you like this stock, bear in mind that it has multiple supports at 620, 625 and 630. I predict, before its earnings next week, these supports should hold now. And there is a great chance that it can break 650 too! Cover your shorting positions if you have any on this stock! Amazing Recovery today from DOW! Bullish run is back!! 2 days is all it needs for the DOW to be back! Yesterday DOW goes up 95 points. Today it goes up 120 points now. It is 100 points away from all time high. Time to pick your weapons to go on a hunt again, guys! Needless to say, confidence is back. Today, I guess Dow should end near its high, which shows confidence again. Ha, do you remember that last few weeks, Wallstreet is so concerned of all the negative earnings. Do you remember I told everyone not to worry about earnings and said that because of the negative expectations, DOW will be back! I have been through enough earnings to know that the negative expectations wont last throughout the earnings season. We just need to be patient to pounce! Today might be it! Like what we have been preaching, we are bullish for the last quarter. I have no doubts whatsoever that Dow will break new high, just that I want to wait for confidence to be back before being bullish again. 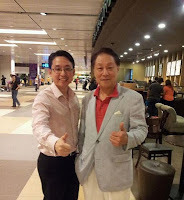 Someone ask me what stock I am paying attention to in Singapore. Maybe this, this is one stock that is going higher?? probably... China Minzhong. Do your own study... Check out the earnings date with your broker, sorry I did not check. Just did study purely on TA. Indeed, on Friday, JP Morgan and Wells Fargo seems to disappoints Wall Street with its earnings results. "Wells Fargo suffered as its 8.1% growth in revenue, to $21.21 billion, came in below analysts’ consensus view of $21.47 billion, according to Thomson Reuters. Per-share earnings, reflecting the payment of preferred dividends, were 88 cents a share, ahead of the expected 87 cents a share. " This week, there will be more financial companies announcing their reports, like Goldman Sachs and Citigroup. Hope they can turn around the tide for the financial sector, a big sector that will affect the US market. On Thursday, Google, the big tech company might rock Wallstreet with its earnings announcement after market closes. After a run-up of $200 in 3 months to a all time high of $775, I would probably anticipate a GAP-DOWN of this stock. Even a slight positive beat of this stock might lead to a gap down as expectations are extremely high. If I have any bullish tech sector positions, I will liquidate all going into Friday session. But of course, I also do not encourage anybody to short this stock before earnings as playing through earnings involves RISK. And I encourage all short term traders not to do that! Singapore market has also been volatile recently. In fact from the remisiers, I heard that those who have invested these 2 weeks have not been making $$$. One tip for you if you want to know market sentiment is to ask constantly how the remisiers' clients are doing recently. They reflect the market now. "Most are stuck! ", they said. This is a sign that Singapore is like US now. Not that easy to trade recently. Like what we have been mentioning, let us wait for a better performance form US market first before we go in to catch the reversal. Another tip: If next time, your remisiers tell you people are panicking and no body is buying, the market is hinting reversal is near! Remember, timing is everything in trading! If you are a part time investor, bear in mind that each year, there are on average only 4-6 BIG Bull runs. 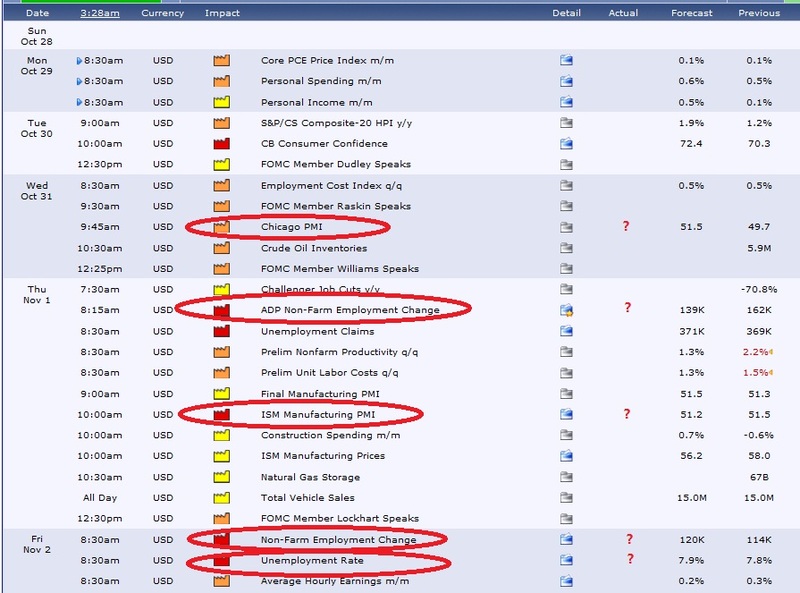 The last 2-3 weeks since QE3 announcement is probably not one of the bull runs!